For this exploration, I will construct a parabola, which is by definition the set of points equal distance from a directrix (a line) and a focus (a fixed point). 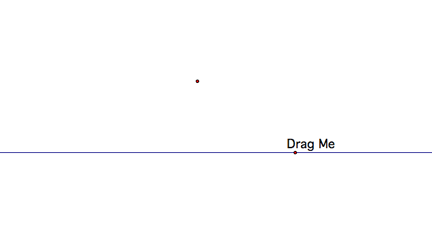 First I need a directrix with a point labeled ÒDrag MeÓ on it and a focus, which is not located on the directrix. 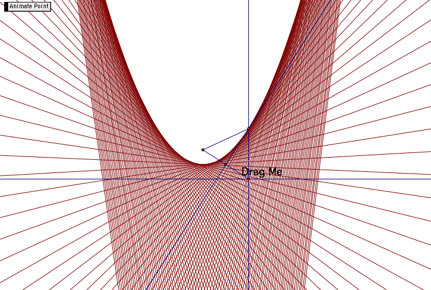 Click here to view a GSP sketch of a parabola generated from an animation and trace of a constructed point. Click here to view the previous GSP sketch with a trace of the tangent line at the constructed point.